The 12 inch iPlate Letterplate, considered the most innovative letterplate in the world, is the perfect addition to any front door. 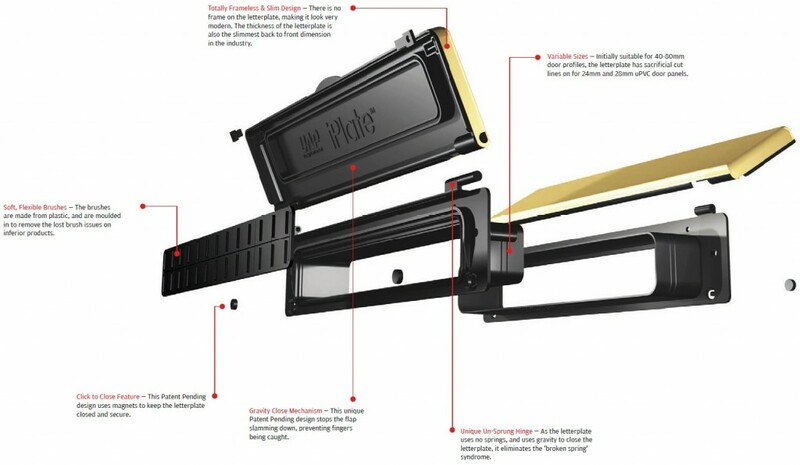 With so many options available on the market, only few match the remarkable features of the iPlate. 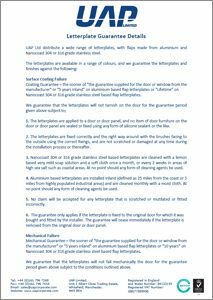 Patent Pending Soft Close Mechanism: the Soft Close mechanism prevents the flap from snapping and so it will not harm fingers when closing. Moulded in Brushes: the brushes will stay in place as they are impeccably moulded into the rubber of the letterplate. Like the brushes of the rest of the UAP Letterplates range, they are outward-facing which helps keep vandals from placing unwanted objects through the opening, makes posting easier (no more crinkled letters!) and it even makes the letterplate draught-proof. 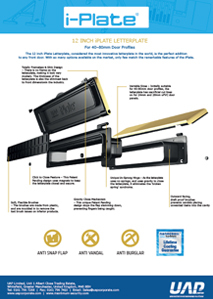 Patent Pending “Click to Close”: the iPlate includes a magnetic catch “Click to Close”, meaning better draught proofing as the flap is sealed shut and will not flap in the wind. Unique “Unsprung” Hinge: this feature has been developed to prevent “broken spring” syndrome, helping add years of life to the letterplate. 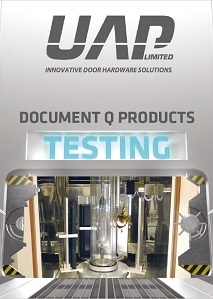 Slimmest Back to Front Dimensions: the iPlate suits 40mm to 80 mm doors and profile and it also features sacrificial cut lines for 24 mm and 28 mm uPVC door panels. 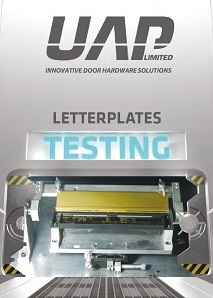 Weather Resistance Performance: the iPlate letterplates have been designed to last. 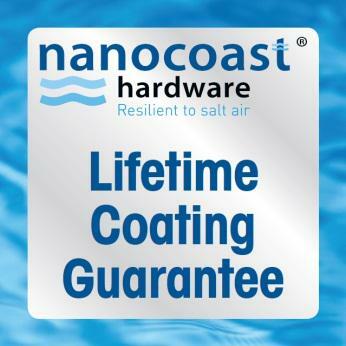 The range of aluminium letterplates features an anodized coating which conforms to ISO 7599 AA15 Standards and comes with a 10 year colour fastness guarantee; while the range of grade 316 stainless steel incorporates the Nanocoast technology and has been salt spray tested to ASTM B117 for 2,000 hours and come with a Lifetime Surface Coat Guarantee.